You are readingMadden NFL 11 Entered As The Next Edition After Madden’s Retirement. 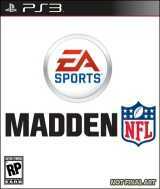 Madden NFL 11 Entered As The Next Edition After Madden’s Retirement. Electronic Arts are one developer whose game can be trusted with closed eyes. For me, their precision with what the gamers want regarding the graphics, plot and game play always hits the bull’s eye. Even this time they have proved their worth with the 11th installment of the famous Pro Football gaming series, Madden NFL. This “Madden NFL 11” is going to continue the age old tradition of being the best seller, even this year. I am not being overconfident about the game but as the previous games have constantly been a best seller and has even spawned TV shows where player competed, I just can’t help it. The game has been named after the Pro Football Star John Madden and as they had announced that the series will go on even after Madden’s retirement in 2009, they have kept their word and are going to release the 11th installment on 10th August 2010. In the last year’s Madden NFL cover, we saw two athletes sharing the spotlight and so EA has decided to let the public decide the deserving players of the cover and have fit in three choices for them. New Orleans Saints quarterback Drew Brees, Indianapolis Colts Wide receiver Reggie Wayne and Minnesota Vikings defensive end Jared Allen. Now going to the game play and stuff, a lot hasn’t been revealed but Madden’s executive producer Jermy Strauser hinted a couple of new features which have been included in this version of the football powerhouse. This game provides over 300 different plays like the previous edition and the players can revamp the playbook’s user interface to give them new ways to mine the playbook. With extensive game plays, flawless graphics and killers teams’ provision by this game, the player will be glued to their consoles. This game is worth $59.95 and is for all the consoles starting from PS3 to Xbox 360, PSP, PS2 and Nintendo Wii. You can see a glimpse of what the pros want in the game here. The Games like 2010 Fifa World Cup South Africa and Final Fantasy 14, some upcoming games in PS3, you must like as so interesting. definitely appreciate your web-site nevertheless, you have to take the punctuation for a lot of your posts. A lot of possibilities filled having punctuational difficulties so i realize its quite worrisome to be honest nevertheless I’m going to certainly appear all over again yet again.